By null54, April 4, 2014 in Plugins - Publishing ONLY! 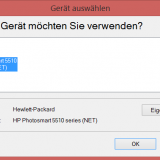 This plugin allows Paint.NET to use 32-bit TWAIN drivers on a 64-bit OS. To install place both files in the Effects folder of Paint.NET. The UI consists of a combo box and two buttons. The combo box allows you to select the TWAIN source to use, this is only enabled if there are multiple TWAIN sources. The Acquire to Clipboard button displays the scanner interface, and places the image on the clipboard. The Close button closes the plugin window. Due to the fact that this plugin places the scanned image on the clipboard, it can only acquire a single scan each time it is run. Did you just merge EZTW32.DLL with my Twainable.dll, and changed the manifest file according to this comment? No, this plugin launches a separate 32-bit process to interact with the TWAIN drivers and does not depend on the EZTwain DLL. Fixed an infinite loop if the user canceled the scanner dialog, file version updated to 1.0.0.1. Fixed a bug with the cancellation of multiple page scans, file version updated to 1.0.0.2. Twainable was recommended to me in another thread, and I posted a report of problems there, but in several days no one responded. I need to try again. When I loaded my document into the document feeder and tried to scan it, Twainable+ read only the first page. It stopped with the first page open in Paint.NET, and the second sheet half way through the scanner. The device is a Canon MX870 multifunction device. I'm using Paint.NET 4.0 beta under Windows 7 Professional. As for your second issue, I am unsure what may be causing it. You might try scanning using the flatbed, which would eliminate any potential issues with the document feeder. Thank you for your response. There's nothing more to be done here, but in return for responding to my questions, I think you deserve feedback. Twainable won't be useful to me with that limitation. I used to use Paint Shop Pro as an image processing program, mainly for scanning documents and doing simple cleanup operations (flood fill of dirty backgrounds, etc). Windows 7 won't run my old version of PSP, and I found the current version to be a huge, complex thing in which everything is possible and nothing is easy. That started my search for a new image processing program. I thought Paint.NET would be it, but it won't. Its built-in scanner interface doesn't let me adjust contrast, brightness, or resolution;Twainable doesn't support the document feeder. From my point of view those are all utterly basic features, and a program that lacks any of them is simply not adequate for my needs. I understand that there's nothing you can do about document feeder support due to the way Paint.NET forces you to interface with it. I don't know about the built-in interface. But you (and the Paint.NET developers) should be aware that these limitations essentially make the program useless to people for whom scanning is important. I hadn't used my old trusty Canon LIDE 60 scanner since I got this laptop with windows 10. The scanner didn't show up in applications because it used a TWAIN driver, but it seems most modern applications want WIA (? not sure if I have the acronym right). Anyway, this was a lifesaver for me. Works like a charm. Thanks a million for spending the time to create this. but only see the one scanner with a WIA driver as I saw it before installing your files. What I do not see is any of the scanners with a network TWAIN driver in the network. And of course I do not have access to the UI you mention. What do I do wrongly, or what do i expect wrongly interpreting your words? The plugin is located in the Effects menu under the Tools category. 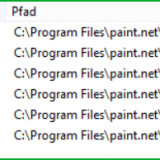 You can delete the Tools folder in C:\Program Files\paint.net\Effects. I Need to connect to the blue marked Epson device. Again: how to get Twainable to work properly? P.S. I now set "notify me of replies" for this Forum. Hopefully it will not take me as long as the last time to respond. Additionally I do hope that embedding of screenshots using NicPostHosts does work, I never have used it before. Currently in editing mode the screenshots are only a square presentation of a larger image. In any case, thank you for your support. This plugin does not modify the File - Import - from scanner or camera options (Paint.NET plugins can not modify that menu). You have to access this plugin from the Effects menu Effects->Tools->Twainable+. After you run Twainable+ it will place the scanned image on the clipboard and it can be pasted into a new image using the Edit->Paste into New Image option.